This Anchor Hocking Oneida 90252 Clarisse 10 oz. stackable rocks glass is certain to please with its classic, old-fashioned style and shape. This 10 oz. 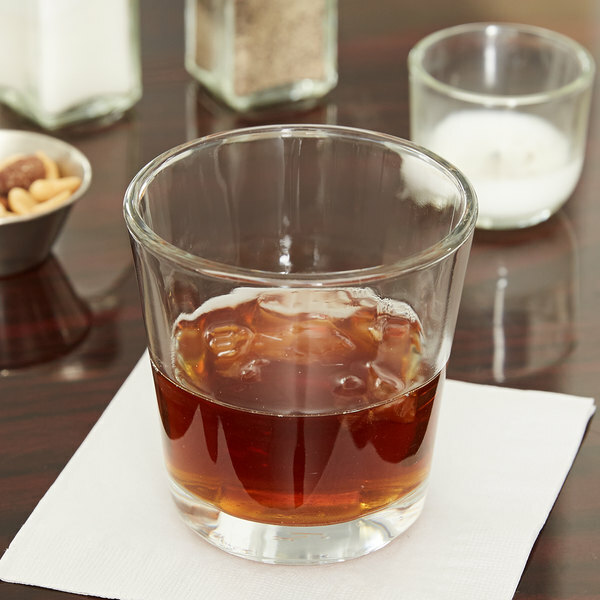 rocks glass is ideal for holding mixed drinks or liquors on the rocks, treating your customers to their favorite drinks in a sophisticated glass. 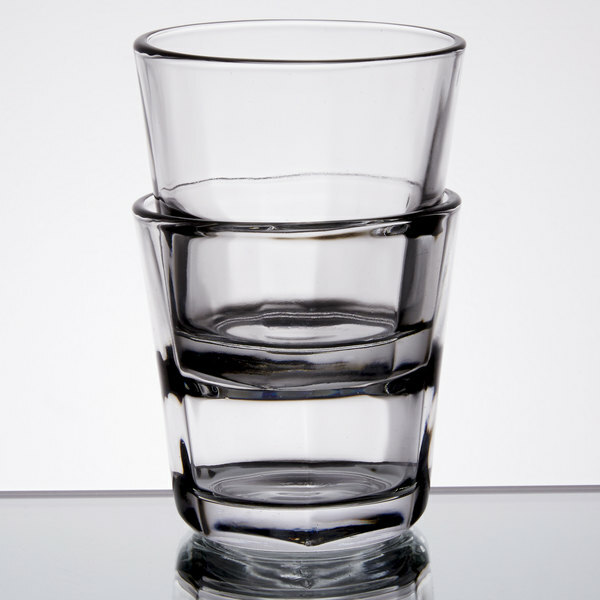 And thanks to its convenient tapered design, it can be stacked with other glasses to save space. 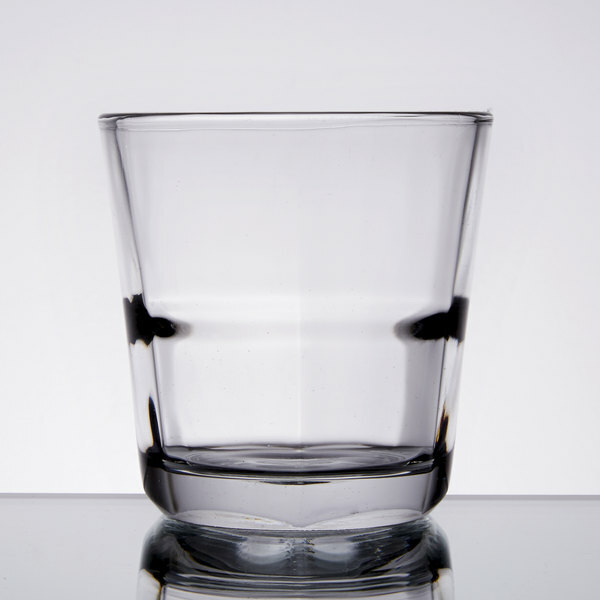 This glass is rim-tempered, ensuring your glass remains durable and strong through each use. Best of all, since it has a crystal clear construction, this glass does an excellent job of showcasing your expertly crafted old fashioned or fine liquor. The attractive presentation it offers is sure to tempt your guests to sit, relax, and order a drink. We use these are the perfect size for water cups and we also use them for short pours of beers, although I'd recommend a taller glass for the latter as it seems like a short poor for beer. The anchor shape in the bottom of the glass is simple and pretty. The glasses don't chip or break often. 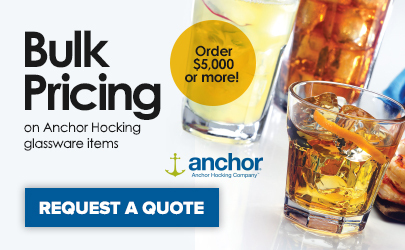 Excellent item for high traffic bar use. Durable glassware that is dishwasher safe. They look good for customers and are designed well enough to handle everyday use. Love these, I would go around to consignment stores or to other websites trying to find a good rocks glass that gave a good portion to not dilute the drink yet still feel large and solid in your hand. Excellent price as well, good shipping box, haven't had one glass arrive broken, and I continue to re-order these as needed. These are my favorite rocks glasses due to the feel but I have noticed that the rims are often uneven. It isn't noticeable unless it happens to be the spot you're drinking from. sturdy and classy. these are worth ordering again as a standard for our restaurant. versatile, stackable, and always able to make any drink look good (even just water). We purchased this glassware because they were stackable and because they were much cuter than our previous glassware. Glassware have proven to be durable, however, they break into very large & sharp pieces of glass.